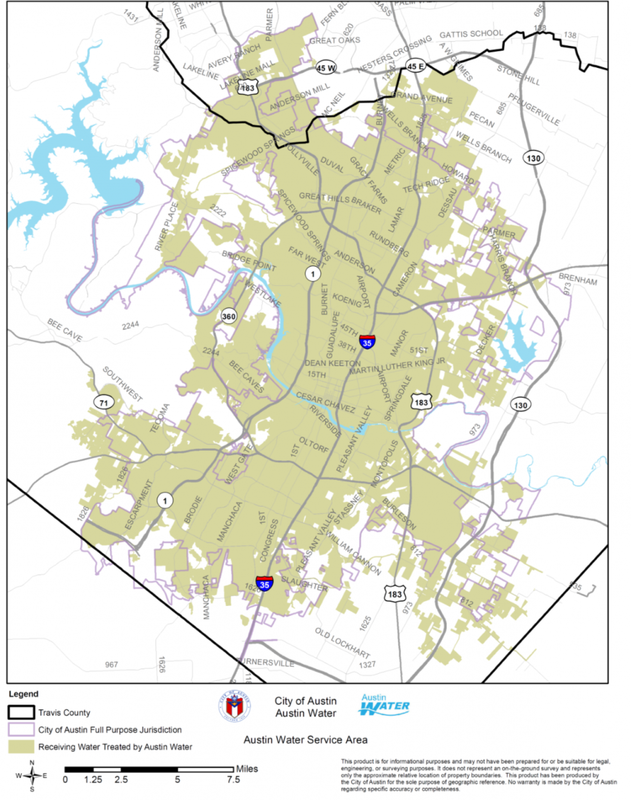 Why does Austin Water issue boil water notices? As a precaution during line repair, Austin Water can request that customers boil their water or use bottled water until water sample lab test results become available. A boil water notice is a public statement advising people to boil their tap water before using it, typically in response to an event that has (or could have) introduced contaminants into the water distribution system. Such events include a large water main break, widespread loss of system pressure, or results of routine sample testing in the system. Although waterborne diseases are extremely rare, they can be serious. The risk is higher for infants, the elderly and persons with immune deficiency disorders. Austin Water issues boil-water notices even if the possibility of contamination is remote to safeguard the health of the community. What do I need to do to make sure my water is safe to drink and use? You should boil tap water vigorously for at least one-three minutes prior to using it for drinking or cooking (the minute starts when the water begins to bubble). This includes water used for brushing teeth, making ice, washing raw foods, preparation of drinks and water for pets. Wait for the water to cool before using it or store it in the refrigerator in a clean container. Boiling removes harmful bacteria in the water that may cause illness. You should throw away ice made during the time the advisory or notice was issued, as freezing does not kill bacteria. The water is safe for washing dishes, but you should use hot, soapy water (you may add one tablespoon of bleach per gallon as a precaution) and rinse dishes in boiled water. There are no restrictions on doing laundry. The water is also safe for bathing during an advisory or notice; if the water is contaminated by a chemical that will cause harm on contact, Austin Water will issue a Do Not Use Notice, meaning the water should not be used for bathing. Use boiled or bottled water only for drinking, cooking, making ice, washing fruits and vegetables, brushing teeth, making baby formula, bathing and cleaning. Breast feed your baby or use ready-made formula. If you must use water to make formula, use bottled water. If you don’t have bottled water, use water that has been rapidly boiled for at least 1-3 minutes. You should follow the same boiling water procedures for your pet as you would for yourself. Public notification will be given when a boil water notice or order is lifted. Typically the need to boil water lasts for 24 to 48 hours, but can be longer and may last for several days or more. How long will depend on the conditions that caused the need to boil, how quickly the conditions are corrected, and how long it takes for laboratory results to confirm it is safe to return to normal water use. Austin Water will provide updates on the progress of corrective actions and how long the event is expected to last.